Nepal is a landlocked country, surrounded by the giants of China and India, and is home to eight of the highest mountains in the world including the famous Mount Everest – although locally it is actually known as Sagarmatha. 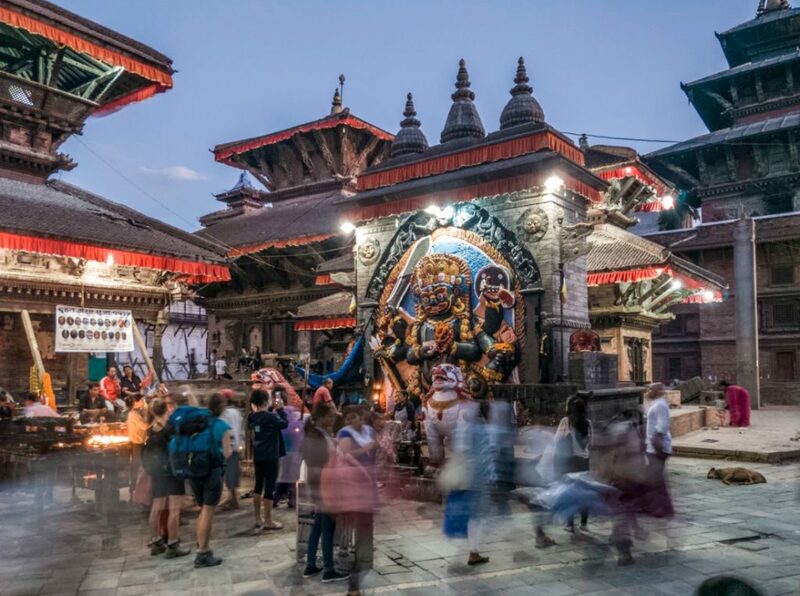 Not only do tourists visit Nepal to adventure up the mountains and other such adrenaline sports, but the country is also the host of many sacred locals and places of cultural significance. Not forgetting the wild national parks where you can see the jungle and all its inhabitants. People tend to visit all throughout the year, but the most popular time to take a holiday in Nepal tends to be autumn. Here are some of the best places to visit and things to do while traveling around Nepal. One of the best things you can do in Nepal is go trekking or climbing – the country was practically made for it! 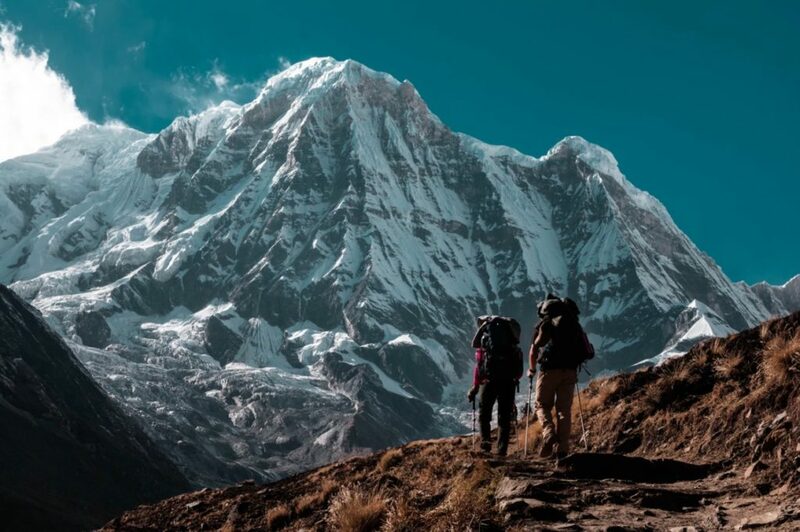 Nepal boasts some of the best trekking routes in the world, whether you are brand new to climbing, or think of yourself as a bit of an expert, there is a beautiful trek just waiting for you here! Just because you may not able to (or even want to) trek the Himalayan mountains, that doesn’t mean you can’t enjoy the breathtaking views! A panoramic helicopter tour is the best way to see these majestic peaks, including Mount Everest, Mount Makalu, and Mount Pumori. Calling this incredible 332 sq mile area a ‘park’ is an understatement! Not only may you be lucky enough to see birds such as egrets and kingfishers, but this park is also home to rhinos, Asian elephants, bears, crocodiles and Bengal tigers. Chitwan National Park is an absolute must see! Pokhara is a stunning lakeside town that is perfect whether you want to paraglide, boat, trek, mountain bike, fish, visit the peace pagoda or just chill out and enjoy the beautiful view. Take a full day to enjoy this little piece of paradise which caters to everyone. Head to the beautiful Shivapuri National Park in Kathmandu Valley if you are a bike enthusiast as this is where you will find amazing dirt roads that are just asking for you to ride on. If this trail is a little bit too challenging, there are more accessible trails that still have stunning views on the Godavari, Chapagain and Bungamati roads. There are some amazing things to see in Kathmandu, from temples and shrines to pagodas, delicate carvings, and giant stone creations. The best way to see these sights is by hiring a tour guide as this is the only way you will be able to get all the history and facts of each place. It will also help you find some hidden gems and see what is worth exploring. The Pashupatinath Temple is the most important Hindu temple in the whole of Nepal and although non-Hindus are not allowed inside the temple, even from outside it is a fantastic experience. The building is similar to a pagoda in design, but with intricately carved rafters, silver plated doors and a beautiful gilded roof. Some people will visit the temple for spiritual reasons, and for others, it will be more about the architecture – whatever it is for you, it is certainly worth visiting. Nepal is a fantastic place to visit thanks to its rich culture, beautiful scenery and plentiful activities. Whether you want to climb Mount Everest, visit some temples or see some amazing animals in the wild, it’s a wonderful place for your next big trip.